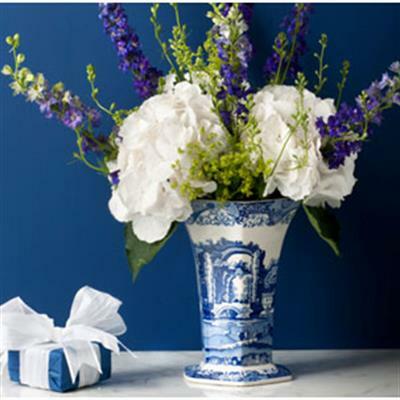 Blue Italian, celebrating its 200th Anniversary in 2016, epitomizes the traditional blue and white for which Spode is famous. Framed by an 18th century Chinese border, the central scene of Italian ruins was inspired by a 17th century drawing. Look for the 200th Anniversary limited edition Collection!